A series of new aromatic polyesters have been synthesized by polycondensation of different aromatic diols (M1, M2 ,M3) with different dicarboxlic acids (4,4'azo di benzoic acid, malic acid and adipic acid) using dibutyltine dilaurate as catalyst . The preparation of thermally stable polyesters was successfully applied with good yields (60-85%). All polyesters (PE1-PE4) containing aliphatic methylene linkage, and azo group in the main chain. The resulted polymers are readily soluble in aprotic polar solvents , such as (pyridine , CHCl3 , CH2Cl2 , NaOH , H2SO4 , HNO3 , acetone , benzene , DMF , DMSO , THF) without need for heating. Thermal analysis of polyesters by Thermo Gravimetric Analysis (TGA) reveals that these aromatic polyesters possess thermal stability. Monomers and polyesters were characterized by FT-IR and1HNMR spectroscopies. تم تحضير سلسلة من البولي استرات الجديدة باستخدام مركبات أروماتية ثنائية الهيدروكسيل M1) ، M2 ، (M3 مع حوامض مختلفة (,4/4 ازو ثنائي حامض البنزويك ,حامض الماليك وحامض الأديبيك ) باستخدام (ثنائي بيوتيلتين , ثنائي لوريت) كعامل مساعد . حضرت البولي استرات المستقرة حراريا بنجاح مع نسبة تحويل ( 60-85 ٪ ) . جميع البولي استرات ( PE1 - PE4 )المحضرة تحتوي على (رابطة المثيلين أو مجموعة الازو) في السلسلة الرئيسية . البوليمرات المحضرة قابلة للذوبان بسهولة في المذيبات القطبية مثل ( البيريدين ، CHCl3 ، CH2Cl2 ، هيدروكسيد الصوديوم ، H2SO4 ، HNO3 ، الأسيتون ، البنزين ، DMF ،DMSO ، (THF دون الحاجة للتسخين . التحليل الحراري للبولي استرات ( TGA ) يؤكد الاستقرار الحراري. تم تشخيص المونوميرات والبولي استرات المحضرة باستخدام تقنية FT -IR و 1HNMR . The study was carried out to investigate MLS and vancomycin resistance phenotypes in S.aureus isolated from different clinical samples .A total of 40 of S.aureus isolated from Baghdad hospitals from different clinical samples such as blood , urin, sputum ,skin and ear swabs used to identified MLS and vancomycin resistance phenotypes.The susceptibility pattern showed that 3 islolates (7.5) % constitutive resistance to erythromycin ,clindamycin and streptogramins (cMLS) while 9 isolates (22.5)% gave inducible resistance to erythromycin ,clindamycin and streptogramins (iMLS) , 10 isolates (25)% showed resistance to erythromycin and sensitive to clindamycin (M phenotype) and 18 isolates (45)% of S.aureus isolates had resistance phenotype to streptogramin A and B (SAB). (5)% of S.aureus isolates had resistance to vancomycin (VRSA) (85)% of isolates were vancomycin sensitive (VSSA) and (10)% of S.aureus isolates had intermediate resistance to vancomycin (VISA) with heterogeneously VISA phenotype (hetero-VISA or h-VISA).اجريت هذه الدراسة لمعرفة الانماط المظهرية لمقاومة مضادات الماكروليدات واللنكوسامايد والستربتوغرامين و الفانكومايسين في بكترياS.aureus المعزولة من نماذج سريرية مختلفة . جمعت 40 عزلة من مستشفيات بغداد من الدم والادرار والقشع ومسحات الجلد والاذن لمعرفة الانماط المظهرية المقاومة لهذه المضادات .اظهرت نتائج اختبار الحساسية ان 3 عزلات (7.5)% ذات نمط المقومة الذاتي لمجموعة MLS (cMLS) بينما 9 عزلات (22.5)% اعطت النمط المحفز (iMLS) و 10 عزلات (25)% اظهرت مقاومتها للاريثرومايسين وحساسيتها للكليندامايسين(M phenotype) و 18 عزلة (45)% من العزلات كانت مقاومة لمضادات الستربتوغرامين أ و ب (SAB) . (5)% من عزلات S.aureus كانت مقاومة لمضاد الفانكومايسين (VRSA) و (85)% من العزلات كانت حساسة له (VSSA) و (10)% من عزلات S.aureus لها مقاومة متوسطة للفانكومايسين (VISA or hetero VISA) . This study was done to compare among 120 new and used cosmetic brands to determine the heavy metals concentrations (Cadmium, Chromium) in (face foundation, powder and blushers). Sixty new cosmetic products were bought from local markets in Baghdad city (twenty different brands foe each cosmetic products), while sixty used cosmetic products were collected from Iraqi women and they had been stored for a long time. 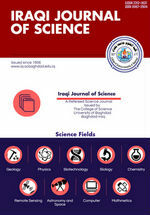 This study proved that not all analyzed cosmetic products containing heavy metals concentrations and all concentrations are under Iraqi acceptable limits except one new blusher product which contained chromium with (28 ppm), but all used cosmetic products have shown better results in concentrations of heavy metals than new products and we found that foundations are the best from all analyzed products, although these have emulsion texture which is difficult to store and easily to contaminate; even though most of these cosmetic products have label of ingredients and brand, or free from production and expiration date, that will not prevent any presence of heavy metals within their chemical structure. Women must avoid using the same brand and store the products for a long period to prevent expose to the same chemical ingredients of these products because of being vulnerable to biodegradation and refraining to buy products without a certain brand or country origin. أجريت هذه الدراسة للمقارنة بين 120 من ماركات مستحضرات التجميل الجديدة والمستخدمة لتحديد تراكيز المعادن الثقيلة (الكادميوم، والكروم) في (أساس الوجه، وباودر الوجه وأحمر الخدود). حيث تم شراء ستين مستحضر جديد من الأسواق المحلية لمدينة بغداد بواقع عشرين ماركة تجارية لكل مستحضر, في حين تم جمع ستين مستحضر مستخدم من النساء العراقيات بواقع عشرين ماركة تجارية مختلفة لكل مستحضر مستخدم والتي تم تخزينها لفترة طويلة. أثبتت الدراسة أن ليس كل منتجات التجميل التي تم تحليلها تحتوي على المعادن الثقيلة وجميع التراكيز كانت تحت الحدود العراقية المقبولة باستثناء منتج واحد من منتجات أحمر الخدود الجديدة التي احتوت على الكروم بتركيز (28 ppm)، كانت مستحضرات التجميل المستخدمة أكثر خلولآ من تراكيز المعادن الثقيلة من مستحضرات التجميل الجديدة, وأن منتجات أساس الوجه كانت هي الافضل من باقي المستحضرات التىي تم تحليللها, على الرغم من أن هذه المنتجات تمتلك القوام مستحلب الذي من الصعب تخزينه وتعرضه سريعآ للتلوث. على الرغم من أمتلاك مستحضرات التجميل ملصق الخاص بأسماء المكونات والعلامة التجارية, وخلو بعضها من تاريخ الأنتاج وتاريخ إنتهاء الصلاحية, فأن هذا لم يمنع من تواجد المعادن الثقيلة بتراكيز ضئيلة ضمن تركيبها الكيميائية ولتجنب التعرض المستمر لنفس مكونات مستحضر التجميل الكيميائية, على المرأة الأبتعاد عن أستخدام نفس العلامة التجارية وتخزين تلك المستحضرات لفترات طويلة لكونها عرضة للتحلل الحيوي وتجنب شراء المنتجات بدون علامة تجارية معينة وبلد مصنع . facial cosmetics --- heavy metals --- biodegradation. The purpose of this study was to investigate the bacterial etiology of urinary tract infections microbiologic properties of Escherichia coli isolated from urinary tract infection patients against nine amoxicillin antibiotic. E.coli isolates were collected from patients samples suffering from urinary tract infection, based on biochemical tests of Epi 20 system .Nine Amoxicillin antibiotics were selected (some vials and other are capsules) which manufactured in different countries were bought from local pharmacies in Baghdad, for the purpose of knowing the inhibitory activity of these antibiotics on E.coli one of the main microorganisms to cause urinary tract infection, the antibiotics were prepared in a concentration of 100mg/ml and their activity was tested against the growth of the selected isolates and variations in the results were noted. Antimicrobial susceptibility was tested by the disk diffusion method. Results showed that. E. coli reveals variations in the susceptibility to amoxicillin. هدفت الدراسة الحاليه الى دراسة تاثيرالفعالية التثبيطية لمضاد الاموكسيلين المصنع في عدة مناشئ ضد واحدة من اهم المسببات المرضية للمرضى الذين يعانون من التهاب المجاري البولية.جمعت عزلات من بكتيريا الاشيريشا القولونية لمرضى يعانون من التهاب المجاري البولية وعزلت البكتيريا وشخصت العزلات اعتمادا على الاختبارات الكيوحيوية لفحوصات العدة التشخيصية الابي 20 الخاصة بالعائلة البكتيرية المعوية. اختيرت تسعة مناشئ لتصنيع المضاد اموكسيلين في عدة مدن وقد تم شراؤه من الصيدليات المحلية في بغداد،ولمعرفةالتاثيرالتثبيطي لهذه المضادات على بكتريا القولون المسبب التهاب المجاري البوليه، حضر المضاد الحيوي اموكسيلين بتركيز 100 ملغم / مل لغرض الدراسه.اختبرت الفعالية التضادية باستخدام طريقة الانتشار في الحفر للوسط حيث اظهرت النتائج تغاير في حساسية البكتيريا تجاه مضاد الاموكسيلين. Urinary Tract Infections --- Antibiotic Susceptibility --- Amoxicillin --- E.coli. Adsorption is a simplified new way, easy application , economical and environmentally friendly. In which the use of certain types of plants to remove or reduce toxic heavy metals from water. The current study involved the use of a non-living biomass as a powder for local plant available in the Iraqi environment is Phragmites australis .This the study showed the high ability of this plant to remove cadmium and lead ions from the aqueous solutions within variable experimental factors by column bed method which were used to test different sizes of plant powder were (500.1000, 1500 and 2000) µm . These sizes treated with initial concentration of Cd(II), Pb(II) was 25ppm , separately To test the optimum size for maximum adsorption and was 1000 µm . After that were tested different concentrations of Cd, Pb are (25, 50, 75, 100, 125,150,175,200)ppm with powder size of 1000 µm . And the optimum concentration was 100ppm. Different flow rates (0.5, 1, 1.5, 2) ml / min were tested with the powder size at 1000 µm and concentration for each metal was 100ppm and the optimum flow rate was 1 ml / min . All the experiments conducted at constant the mean of pH was 5, 32, temperature 22 ± 2 , contact time ranged (22-40) minutes. Results of statistical analysis showed that the optimum conditions of the maximum adsorption were at 1000 µm of powder size, 100ppm of initial metal concentration, flow rate of 1 ml / min and the high removal rates of cadmium and lead ions by P. australis were 95,16 % and 92.76% , respectively . الامتزاز الحيوي هو طريقة جديدة مبسطة , سهلة التطبيق , اقتصادية وصديقة للبيئة والتي تتضمن استخدام انواع معينة من النباتات لإزالة او خفض المعادن الثقيلة السامة من المياه. تضمنت الدراسة الحالية استخدام الكتلة الحيوية غير الحية كمسحوق لنبات محلي متوفر في البيئة العراقية هو القصب . الدراسة اوضحت القدرة العالية لهذا النبات على ازالة ايونات الكادميوم والرصاص من المحاليل المائية ضمن ظروف تجريبية متغيرة باستخدام طريقة الاعمدة الزجاجية التي استخدمت لاختبار احجام مختلفة من مسحوق النبات (2000,1500,1000,500) ما يكرومتر . هذه الاحجام عوملت مع الكادميوم والرصاص بتركيز 25 جزء بالمليون كلا على حدة لاختبار الحجم المثالي للامتزاز الاكبر وكان 1000 مايكرومتر. بعد ذلك عوملت تراكيز مختلفة من كل من الكادميوم والرصاص هي(200,175,150,125,100,75,50,25) جزء بالمليون بشكل منفصل مع مسحوق النبات بحجم 1000مايكرومتر. وكان التركيز المثالي لكل عنصر 100جزء بالمليون . اختبرت معدلات جريان مختلفة هي (2,1,5,1,0,5) مل / دقيقة مع مسحوق النبات بحجم 1000مايكرومتر وتركيز الكادميوم والرصاص لكل منهما 100جزء بالمليون وكان معدل الجريان المثالي 1 مل /دقيقة. كل التجارب اجريت بالدالة الحامضية الثابتة بمتوسط 5,32 , متوسط درجة الحرارة 22 ± 2 ومعدل زمن التماس (22-40) دقيقة . اشارت نتائج التحليل الاحصائي الى ان الظروف المثالية للامتزاز الاكبر كانت 1000مايكرومتر لحجم مسحوق النبات ,التركيز الابتدائي لكل من للكادميوم والرصاص 100 جزء بالمليون , معدل الجريان 1مل/ دقيقة ومعدلات الازالة العالية للكادميوم والرصاص كانت 95,16, 92,76% على التوالي . Cadmium and Lead --- Phragmites australis --- Adsorption. Sepsis is a major cause of death worldwide among hospitalized patients, however, an accurate and advanced identification method is associated with improved sepsis patient survival. This Retrospective study carried out in Sulaimani pediatric teaching hospital from January 2014 to July 2015 and aimed to compare the effectiveness of VITEK 2 system with traditional manual procedures for identification of pathogenic bacteria in patients with a serious disease like sepsis. The positive blood cultures were divided into two groups; 138 positive cultures identified by conventional manual methods and 104 positive cultures identified by automated VITEK 2 system. The results showed that VITEK 2 system identified 16 genera and 30 species whereas only nine genera with seven species diagnosed by using routine method. The most important result during this study was the identification of five uncommon bacterial genera Kocuria, Leuconostic, Cedecea, Pantoea and Burkhoderia which have never been diagnosed in the microbiology laboratory of the hospital until the modern automated system VITEK 2 use. In conclusion, using VITEK 2 is required to enhance the performance of hospital’s microbiology laboratory which is essential for accurate diagnosis and prompt effective treatment of blood stream infections.يعد تسمم الدم سببا رئيسا للوفاة بين المرضى الراقدين في المستشفى وان دقة التشخيص باستعمال طرق حديثة يكون مرتبطا بتحسين فرصة المريض للنجاة. اجريت هذه الدراسة في مستشفى الاطفال في السليمانية للفترة من بداية شهر كانون الثاني 2014 والى نهاية شهر حزيران 2016 .هدف الدراسة هوالمقارنة بين الجهاز الالي VITEK2 و الطرق اليدوية التقليدية المستعملة لتشخيص البكتريا المرضية للمرضى المصابين بتسمم الدم. شملت الدراسة تسجيل نتيجة التشخيص لكل الحالات التي اظهرت نتيجة زرع دم موجبة والتي قسمت الى مجموعتين: الاولى تضمنت 138 عينة شخصت بواسطة الطرق الروتينية والثانية تضمنت 104عينة شخصت بواسطة الجهاز الالي VITEK2. اسفرت نتائج التشخيص باستعمال VITEK2 عن تشخيص 16 جنس بكتيري و 30 نوع بينما لم تشخص الا 9 اجناس و 7 انواع باستعمال الطرق التقليدية. ان اهم نتيجة استحصلت من هذه الدراسة كانت تشخيص 5 اجناس لبكتريا غير شائعة (Kocuria, Leuconostic, Cedecea, Pantoea and Burkhoderia) والتي لم تشخض سابقا في مختبر المايكروبايولوجي ولكن شخصت فقط عندما بدأ العمل بنظام التشخيص الالي. نستنتج من هذه الدراسة ان استعمال جهاز VITEK2 ضروري لتحسين الاداء في قسم المايكروبايولوجي والذي يعد اساسيا للحصول على تشخيص دقيق يؤدي الى معالجة فعالة لحالات تلوث مجرى الدم. The present study evaluates the insecticidal activity of (Acetone, 80% Methanol and water) crude leaf extract of AdhatodavasicaagainstBemisiatabaci. The extracts of (Acetone, Methanol 80%) showed 100, 86.6% mortality of nymphsBemisiatabaci at 5% concentration. Then the extracts of (Acetone, Methanol 80%) showed 100, 90% mortality of pupaBemisiatabaci at 5% concentration. Phytochemical screening revealed the presence of (Flavones, Volatiles oils, Tannins, Saponines, Glycosides, Alkaloids,Resins and Terpenoids)in methanol80% crude extract. It can be concluded that the acetone and methanol crude leaf extract of A. vasicaNees can cause mortality in (nymphs, pupa) Bemisiatabaci, so it can be used asinsecticides.قيمت هذه الدراسة فعالية مستخلصات اوراق نبات حلق السبع الشجيري (الاسيتون ،ميثانول 80% والماء)كمبيدات حشرية ضد حشرة الذبابة البيضاء .اظهرت مستخلصات الاسيتون والميثانول 80%نسبة فناء ليرقات الذبابة البيضاء بلغت100, 86.6% وبلغت نسبة الفناء لعذارى الذبابة البيضاء 100, 90% بتركيز 5% لكل مستخلص (الاسيتون والميثانول 80%).وقد اظهر الكشف الكيميائي للمركبات النباتية عن وجود (الفلافونات,زيوت متطايرة ,العفصيات,الصابونين ,الكلايكوسيدات ,القلويدات ,الراتنجات والتربينات)في مستخلص الميثانول 80%.نستنتج من ذلك ان مستخلص الاسيتون والميثانول 80% لاوراق نبات حلق السبع الشجيري كان سبب في فناء يرقات وعذارى حشرة الذبابة البيضاء .لذلك يمكن استخدامه كمبيدات حشرية للافات الاقتصادية. Adhatodavasica --- Bemisiatabaci --- Insecticides. Folate metabolism is fundamental and essential for DNA structure synthesis and repair. Change in genes that participate in folate metabolism can be linked with different types of malignant tumor, Therefore, this study was conducted to find out the association between methylenetetrahydrofolatereductaseMTHFR gene polymorphisms and risk of breast cancer in a sample of Iraqi patients. One Single Nucleotide Polymorphism ( SNP) including MTHFR C677T was calculated using a tetra primer ARMS PCR experiment assay. The results explained that (MTHFR C677T) consists of three genotype (CC, CT, TT), The CC genotype was the most frequent in patients and control group ( 40.00%) and(60.00%) ,respectively, while the lowest frequency was for TT genotype(26.25%) in patients group .This study also revealed that the higher frequency 56.88 % for allele C and 43.12 % for T allele in patients group . On the other hand the Odd Ratio ( O.R.) for CC, CT , TT genotypes were 1.073, 0.862 and 1.148 respectively, and the genotypes TT show a highest O.R. ايض الفوليك ضروري لبناء الحمض النووي واصلاحه . أن التغايرات في الجينات التي تشارك في التمثيل الغذائي لحامض الفوليك يمكن أن تترافق مع عدة أنواع من الأورام الخبيثة، لذلك أجريت هذه الدراسة لمعرفة العلاقه بين تعدد أشكال النوكليوتيدات المــــفردة لجـــــــــــــين مثيل تتراهايدرو فوليت المختزلMethylenetetrahydrofolateReductase (MTHFR) وخطر الإصابة بسرطان الثدي في عينة من المرضى العراقيين .أختير نوع واحد من تعدد أشكال النوكليوتيدات المفردة Single Nucleotide Polymorphisms (SNPs) وهو (C677T) للجين (MTHFR) ، واستعملت طريقة tetra primer ARMS PCR assay لتحديد هذا النوع من تعدد أشكال النوكليوتيدات المفردة للجين.اشارت النتائج الى ان (MTHFR) يتكون من ثلاثة انماط جينيه (CC,CT, TT), وان النمط الجينيCCكان اعلى تكرار لدى المرضى ومجموعة السيطرة بنسبة (40.00%) و (60.00%) على التوالي . بينما كان النمط الجيني TT اقل تكرارا في مجموعة المرضى حيث بلغت نسبته(26.25%)، ايضا اشارت هذه الدراسة الى أن اعلى تكرار كان للأليلC وبلغت نسبته56.88 % مقارنة 43.12 % للأليلT في مجموعة المرضى وقد بلغت نسبة الأرجحية للأنماط الجينية(CC,CT ,TT) 1.148 , 0.862 و 1.073 على التوالي , وأظهر النمط الجينيTT أعلى نسبة أرجحية . Cadmium sulfide (CdS) nanocrystalline thin films are prepared onto ITO-glass and Si(111) substrates by chemical bath deposition method. The scanning electron microscope images showed that the CdS thin film onto Si substrate is more homogenous without vacancies. The XRD patterns of the CdS nanocrystalline thin film confirm that they have polycrystalline with cubic phase. Room temperature photoluminescence (PL) spectrum of the CdS nanocrystalline thin films shows emission band located at 502nm for CdS/Si sample while the CdS/ITO-glass thin films shows a broad emission band peaked at 505nm. The Raman spectra of CdS nanocrystalline thin films prepared onto Si and ITO-glass substrates contain two main peaks which are corresponding to the first and second-order longitudinal optical (LO) phonon modes. حضرت اغشية المركب CdS نانوية التركيب علىى قواعد ITO-glass و(111) Si بطريقة الترسيب بالحمام الكيمائي. اظهرت صور المجهر الالكتروني الماسح ان اغشية المركب المرسبة على السليكون كانت اكثر تجانسا وقليلة الفراغات. انماط حيود الاشعة السينية بينت ان الاغشية المحضرة كانت متعددة التبلور وبتركيب مكعب. طيف الانبعاثية الضوئيةPL)) لاغشية CdS/Si تمركز عند الطول الموجي 502 نانومتر بينما كان طيف الانبعاثية عريضا لاغشية المركب CdS/ITO مع التمركز عند الطول الموجي 505 نانومتر. انماط رامان لكلا النموذجين المحضرين على قواعد Si وقواعد ITO اظهرت قمتان رئيستان تعودان للنمطين الاول والثاني من الدرجة الطولية لنمط ضوئية-صوتية. Nanocrystallin materials --- CdS --- Photoluminescence spectra --- Thin films --- Chemical bath deposition. Sedimentologic and facies evidences reveal a marine environment for the Gercus Formation. Facies analysis and associated sedimentary structures including graded beddings decide turbidity origin of the rocks. Marine environment is supported by the identifying glauconite and fossils types reported for the first time. The formation composed of seven lithotypes; shale/claystone, mudstone, sandstone, carbonate, conglomerate, breccias and debris flow, which are arranged in repeated cycles of mixed siliciclastic-carbonate turbidites in a range of gravity-flow regime. The Gercus successions are grouped into four facies associations confirming marine depositional systems, these are (from bottom to top); slump siliciclastic-calciturbidites (dolomite/shale dominated), proximal siliciclastic-calciturbidites (dolomite/sand dominated), distal siliciclastic-calciturbidites (sand/mud dominated) and slope siliciclastic turbidites (sand/clay dominated) respectively. Petrographic analysis of sandstone units show predominant of lithic fragments, most of it are carbonate with subordinate tuffaceous fragments, chert, chalcedony, volcanic ash, metamorphic and detrital iron oxides grains, with noticeable grains of glauconite. Varieties of marine fossils are identified includes planktonic bivalves and benthic forams of cool water, which support the deeper marine environment. Petrographic examination of carbonate units reveal skeletal grains of benthic and planktonic forams, stromatolite, planktonic bivalves, corals and algae, with non-skeletal grains of chert, chalcedony, tuffaceous fragments, volcanic ash, and volcanic bubbles. Petrography, lithofacies and lithostratigraphic analysis of the Gercus Formation suggest deposition in developed marine environment, mainly effected by gravity-flow turbidity currents, and displays successive submarine fans of high density turbulent currents in deeper margins. Mixed siliciclastic-carbonate cycles were deposited in intervals of weaning of turbulent currents. Based on clast type and size, it seems likely that a weakly turbulent to laminar gravity-flow phase was present when the flow event entered the basin at the end part of the fan. A change in flow behavior may have led to deposit sand-rich unit with ‘turbidite’ characteristics, which was subsequently grades upwards to clay-dominated unit. This paper presents new details of lithostratigraphic subdivisions and associations of the Gercus Formation in Koi Dokan area, and new suggested marine environment of deposition. The previous workers suggest continental and probably mixed with deltaic environments in the upper part. ان الدلائل الرسوبية والسحنية تشير الى بيئة ترسيب بحرية لتكوين الجركس. التحليل السحني والتراكيب الرسوبية المصاحبة مع وجود التدرج الطبقي تشير الى بيئة المتعكرات العميقة لهذه الصخور. ان دلائل البيئة البحرية تدعم بوجود معدن الكلوكونايت ذو الاصل البحري والذي يشار اليه للمرة الاولى. يتكون التكوين من سبع انواع من الصخور هي: السجيل, الطين والطين الغريني والحجر الرملي و الصخور الجيرية والكونكلومريت والبريشيا والفتات الصخري الزاحف ,والتي تتواجد في دورات متعاقبة من رواسب المتعكرات السلسكاتية الفتاتية-الجيرية ضمن نظام جريان الزحف. تترتب تتابعات رواسب الجركس في اربع مجموعات سحنية تثبت البيئة البحرية للتكوين (وهي من الاسفل الى الاعلى) المتعكرات السليكاتية الفتاتية-الجيرية الزاحفة (الدولومايت-السجيل الغالب) والمتعكرات السليكاتية الفتاتية-الجيرية القريبة (الدولومايت-الرمل الغالب) والمتعكرات السليكاتية الفتاتية-الجيرية البعيدة (الرمل-الطين الغريني الغالب ومتعكرات المنحدر القاري السليكاتية الفتاتية-الجيرية (الرمل-الطين الغالب) على التوالي. تشير الدراسة الصخرية المايكروسكوبية الى ان الحجر الرملي يتكون غالبا من حبيبات الصخور واغلبها من القطع الجيرية مع نسية اقل وقطع التف والجرت الصوان والكالسيدوني و قطع الصخور المتحولة وقطع اكاسيد الحديد الفتاتية مع نسبة من حبيبات الكلوكونايت. لقد تم تمييز انواع متعددة من المتحجرات البحرية وتتضمن الفورامنيفرا الطافية والستروماتولابت وذات المصراعين الطافية والاسفنج والاشنات مع انواع من الحبيبات الفتاتية منها الصوان والكالسيدوني والتف والرماد البركاني والفقاعات البركانية. استنادا الى السحنات الصخرية والتحليل الطباقي السحني فأن تكوين الجركس قد ترسب في بيئة بحرية متطورة ومتأثرة اساسا بتيارات التعكر الجذبية المنحدرة الى الاعماق مكونة مراوح تحت بحرية مكونة من تيارات تعكر ذات كثافة عالية. ان الدورات الترسيبية المختلطة من الرواسب الفتاتية السليكاتية-الجيرية قد ترسبت في فترات ضعف سرعة تيارات التعكر. واستنادا الى نوع وحجم الحبيبات فأنه من الواضح ان تيارات التعكر الضعيفة وطور الجريان الانسيابي لها قد رسبت هذه الرواسب في وقت دخول التيار الى الحوض في الجزء النهائي من المراوح تحت البحرية. وان التغير في نمط جريان التيارات قد يؤدي الى ترسيب رواسب غنية بالرمال وتتميز بالتراكيب الرسوبية لتيارات التعكر والتي بالتالي تتدرج الى الاعلى الرواسب الطينية. تظهر هذه الدراسة تقسيم جديد مفصل لتكوين الجركس الى وحدات طباقية صخرية من خلال المجموعات السحنية في منطقتة دوكان والتي تشير الى البيئة البحرية للترسيب. ان جميع الدراسات السابقة تشير الى البيئة القارية للتكوين مع وجود بيئة الدلتا في الجزء الاعلى من التكوين. Gercus --- turbidites --- gravity flow --- Eocene --- NE Iraq. In this paper extensive examples and related counterexamples of the category of α-skew π-Armendariz rings are given. This category of rings regards a new generalization for the concepts of α-skew Armendariz and skew π-Armendariz rings. A ring Α is called α-skew π-Armendariz if for any φ(χ)=∑_(z=0)^λ▒〖ι_z χ^z 〗 and ψ(χ)=∑_(s=0)^μ▒〖ν_s χ^s 〗∈Α[χ;α] such that φ(χ)ψ(χ)∈N(Α[χ;α]), then ι_z α^z (ν_s)∈N(Α) for each 0≤z≤λ and 0≤s≤μ. First some general properties of α-skew π-Armendariz rings are studied and then relations between α-skew π-Armendariz rings and other related rings are investigated. Also various examples of non α-skew π-Armendariz rings are established. في هذا البحث أُعطيت امثلة وامثلة معاكسة, حول حلقات تعاكس α-ارمندرايز من النمط π, بشكل واسع. ان هذا الصنف من الحلقات يعتبر تعميم جديد لمفهومي حلقات تعاكسα- ارمندرايز وحلقات تعاكس ارمندرايز من النمط π. الحلقة Α تسمى تعاكس α-ارمندرايز من النمط π اذا كان لأي متعددتي حدود φ(χ)=∑_(z=0)^λ▒〖ι_z χ^z 〗 و ψ(χ)=∑_(s=0)^μ▒〖ν_s χ^s 〗 في Α[χ;α] تحققφ(χ)ψ(χ)∈N(Α[χ;α]) فأن ι_z α^z (ν_s)∈N(Α) لكل 0≤z≤λ و 0≤s≤μ. اولا دُرست بعض الخصائص العامة لحلقات تعاكس α- ارمندرايز من النمط π ومن ثم بحثت العلاقات بين حلقات تعاكس α-ارمندرايز من النمط π وحلقات اخرى ذات صلة. ايضا أُنشأت امثلة على حلقات هي ليست تعاكس α-ارمندرايز من النمط π. In this paper, we will study a concepts of sectional intuitionistic fuzzy continuous and prove the schauder fixed point theorem in intuitionistic fuzzy metric space as a generalization of fuzzy metric space and prove a nother version of schauder fixed point theorem in intuitionistic fuzzy metric space as a generalization to the other types of fixed point theorems in intuitionistic fuzzy metric space considered by other researchers, as well as, to the usual intuitionistic fuzzy metric space. في هذا البحث ، سنقوم بدراسة المفاهيم الاساسية في استمرارية ضبابية الحدس القطاعي واثبات نظرية شاودر للنقطة الصامدة في الفضاء المتري الضبابي الحدسي ويمكن اعتباره اعمام للفضاء المتري الضبابي ،واثبات الاصصدارات الاخرى في نظرية شاودر للنقطة الصامدة في الفضاء المتري الضبابي الحدسي ويمكن اعتباره اعمام للانواع الاخرى من نظريات النقطة الصامدة في الفضاء المتري الضبابي الحدسي والتي درست من قبل بقية الباحثين بالاضافة الى الفضاء المتري الضبابي الحدسي الاعتيادي. Fuzzy metric spaces --- Intuitionistic fuzzy metric space --- fixed point theorem. An adaptive fuzzy weighted linear regression model in which the output is based on the position and entropy of quadruple fuzzy numbers had dealt with. The solution of the adaptive models is established in terms of the iterative fuzzy least squares by introducing a new suitable metric which takes into account the types of the influence of different imprecisions. Furthermore, the applicability of the model is made by attempting to estimate the fuzzy infant mortality rate in Iraq using a selective set of inputs. تم التعامل في هذا البحث مع أنموذج خطي ضبابي موزون مكيف ذو مخرج يعتمد على الموقع والأنتروبي للأرقام الضبابية الرباعية إذ تم وضع الحل للأنموذج المكيف بالأعتماد على المربعات الصغرى الضبابية التكرارية عن طريق أستعمال معيار مناسب جديد تم تعريفهُ ليأخذ بنظر اullلأعتبار تأثير أنواع عدم الدقة المختلفة. علاوة على ذلك جرى تطبيق الأنموذج عبر محاولة لتقدير معدلات وفيات الرضع الضبابية في العراق بوساطة مجموعة من المدخلات المختارة. Quadruple-FN --- Fuzzy entropy --- Fuzzy least squares --- Non-negative least squares --- Infant mortality rate. Broadband satellite is playing a main role in provision global coverage and onboard processing ability over IP networks to assess user applications. In order to lower the cost, get better security, solve IPv4 addressing limitation, expand the expected advantages of modern routing and mobility characteristics; the next-generation satellite systems ought to support IPv6 and seamlessly incorporate with terrestrial networks including wireless local loops. Satellite communication links have a number of limitations compared to terrestrial communications networks such as large delay and high header overhead for IPv6 consumes the bandwidth and causes lower transmission effectiveness; however, the quality of service (QoS) (such as delay, jitter, and goodput) is adversely influenced by these demerits. Current paper proposes UDP/IPV6 header compression over Multi-Protocol Label Switch (MPLS) via satellite scheme called (MPLSHCompViaSat). The aim of the proposed scheme is to save the required bandwidth in order to provide better network utilization and consequently improves the efficiency and QoS. For the sake of performance evaluation, the proposed scheme has been tested using Network Simulator (NS2).تلعب الأقمار الأصطناعية ذات النطاق العريض دورا هاما لتوفير تغطية عالمية وقدرة للمعالجة عبر شبكات بروتوكول الانترنت لتقييم تطبيقات المستخدم. من اجل خفض التكلفة, والحصول على حماية افضل, وحل مشكلة محدودية العناوين ل (IPv4), وتوسيع المزايا المتوقعة من خصائص التوجيه والتنقل الحديثة. يجب على انظمة الاقمار الأصطناعية للجيل القادم دعم ال (IPv6)ودمجه بسهولة مع الشبكات الارضية بما في ذلك الحلقات المحلية اللاسلكية. اتصالات الأقمار الأصطناعية لديها عدد من العيوب مقارنة مع شبكات الأتصالات الارضية بما في ذلك تأخير عالي وكذلك حجم الheader لل IPv6 يكون كبير مما يستهلك عرض النطاق الترددي ويؤدي الى خفض كفاءة الارسال. ومع ذلك, فأن جودة الخدمة (مثل التأخير, الغضب, البيانات المتلقاة) تتأثر سلبا بهذه العيوب.في هذا البحث اقترحنا طريقة ضغط عنوان بروتوكول IPv6 UDP/ عبر بروتوكول MPLS خلال الأقمار الأصطناعية. الهدف من الخطة المقترحة في هذا البحث تقليل عرض النطاق الترددي المطلوب من اجل توفير استخدام افضل للشبكة, وبالتالي يحسن من كفاءة وجودة الخدمة. من اجل تقييم الأداء, قد تم اختبار النظام المقترح بأستخدام محاكي الشبكات(NS2) . IPv4 --- IPv6 --- QoS --- MPLS --- NS-2 simulation. Nowad ays, with the development of internet communication that provides many facilities to the user leads in turn to growing unauthorized access. As a result, intrusion detection system (IDS) becomes necessary to provide a high level of security for huge amount of information transferred in the network to protect them from threats. One of the main challenges for IDS is the high dimensionality of the feature space and how the relevant features to distinguish the normal network traffic from attack network are selected. In this paper, multi-objective evolutionary algorithm with decomposition (MOEA/D) and MOEA/D with the injection of a proposed local search operator are adopted to solve the Multi-objective optimization (MOO) followed by Naïve Bayes (NB) classifier for classification purpose and judging the ability of the proposed models to distinguish between attack network traffic and normal network traffic. The performance of the proposed models is evaluated against two baseline models feature vitality based reduction method (FVBRM) and NB. The experiments on network security laboratory-knowledge discovery and data mining (NSL-KDD) benchmark dataset ensure the ability of the proposed MOO based models to select an optimal subset of features that has a higher discriminatory power for discriminating attack from normal over the baselines models. Furthermore, the proposed local search operator ensures its ability to harness the performance of MOO model through achieving an obvious feature reduction on average from 16.83 features to 8.54 features (i.e., approximately 50%) in addition to the increase in NB classifier accuracy from 98.829 to 98.859 and detection rate from 98.906 to 99.043. في الوقت الحاضر، مع تطور الاتصالات عبر الانترنيت والتي تقدم العديد من التسهيلات للمستخدم يؤدي ذلك بدوره الى تزايد الوصول غير المصرح به. ونتيجة لذلك، اصبح نظام كشف التطفل ضروري لتوفير مستوى عالي من الأمن لكمية كبيرة من المعلومات المنقولة في الشبكة لحمايتها من التهديدات. واحدة من التحديات الرئيسية لكشف التطفل هي الأبعاد العالية من فضاء الميزة وكيفية تحديد الميزات ذات الصلة لتمييز حركة المرور الطبيعية على الشبكة من الهجوم. في هذا البحث، اعتمدت الخوارزمية التطورية متعددة الاهداف مع التحلل (MOEA/D) و (MOEA/D) مع حقن مشغل البحث المحلي المقترح لحل مشكلة امثلية تعدد الاهداف يليه المصنف نيف بايز (NB) لغرض التصنيف والحكم على قدرة النماذج المقترحة للتمييز بين حركة المرور الطبيعية على الشبكة من الهجوم. اداء النماذج المقترحة تم تقييمه بالمقارنة مع نموذجين من النماذج الاساسية وهي (FVBRM) و NB. تضمن التجارب على البيانات القياسية (NSL-KDD) قدرة النماذج المقترحة المعتمدة على امثلية تعدد الاهداف على اختيار امثل مجموعة فرعية من الميزات التي لديها اعلى طاقة تمييزية لتمييز الهجوم من الطبيعي بالمقارنة مع النماذج الاساسية. وعلاوة على ذلك، ان مشغل البحث المحلي المقترح يضمن قدرته على الاستفادة من اداء نموذج امثلية تعدد الاهداف الذي حقق تقليل واضح للميزات بمعدل من 16.83 الى 8.54 ميزة (اي مايقارب %50) بالأضافة الى زيادة دقة مصنف نيف بايز (NB) من 98.829 الى 98.859 ومعدل الكشف من 98.906 الى 99.043. Feature selection --- Intrusion Detection --- Naïve Bayes --- Multi-objective evolutionary algorithm. The need for image compression is always renewed because of its importance in reducing the volume of data; which in turn will be stored in less space and transferred more quickly though the communication channels. In this paper a low cost color image lossy color image compression is introduced. The RGB image data is transformed to YUV color space, then the chromatic bands U & V are down-sampled using dissemination step. The bi-orthogonal wavelet transform is used to decompose each color sub band, separately. Then, the Discrete Cosine Transform (DCT) is used to encode the Low-Low (LL) sub band. The other wavelet sub bands are coded using scalar Quantization. Also, the quad tree coding process was applied on the outcomes of DCT and quantization processes. Finally, the adaptive shift coding is applied as high order entropy encoder to remove the remaining statistical redundancy to achieve efficiency in the performance of the compression process. The introduced system was applied on a set of standard color image; the attained compression results indicated good efficiency in reducing the size while keeping the fidelity level above the acceptable level, where it was obtained compression ratio which is around 1:40 for Color Lena, 1:30 for color Barbara. ان الحاجة لضغط الصور تحتاج دومآ الى التجديد، لما لها من أهمية في تقليل حجم البيانات؛ والتي بدورها سوف يتم تخزينها في مساحة أقل ونقلها بسرعة أكبر خلال قنوات الاتصال. في هذا البحث تم تقديم ضغط لصور ملونة بتكلفة محوسبة قليلة وبخسارة بسيطة للبيانات. يتم تحويل بيانات صورة RGB إلى لون الفضاء YUV، ثم يتم اعادة تعيين حزمتي اللونية U & V نحو مستوى اقل. بعد ذلك يستخدم التحويل المويجي الثنائي المتعامد لتحليل كل حزمة لونية على حدة. ثم يستخدم تحويل الجيب تمام المتقطع (DCT) لترميز الحزمة المنخفضة (التقريبية) ) للتحويل المويجي. بعد ذلك يتم ترميز حزم المويجات الفرعية الأخرى (التفصيلية) باستخدام التكميم المتدرج الكمي. بعدها تم تطبيق عملية ترميز الشجرة الرباعية على نتائج عمليتي DCT والتكميم. وأخيرا، تم تطبيق التحول الترميز لإزالة التكرار الإحصائي المتبقيي في كل حزمة لتحقيق كفاءة عالية في عملية الضغط. تم تطبيق النظام على مجموعة من الصور الملونة القياسية؛ وقدأشارت نتائج الضغط الى تحقيق كفاءة جيدة من حيث حجم البيانات المضغوطة مع الحفاظ على مستوى الدقة فوق المستوى المقبول، فقد تم الحصول على نسبة الضغط تبلغ حوالي 01:40 الى صورة لينا الملونة، 01:30 الى صورة باربرا. Lossy Image Compression --- Wavelet Compression --- DCT --- Color Transforms --- QuadTree Encoding. In any security system, we need a high level of security, to maintain the secrecy of important data. Steganography is one of the security systems that are hiding secret information within a certain cover (video, image, sound, text), so that the adversary does not suspect the existence of such confidential information. In our proposed work will hide secret messages (Arabic or English) text in the Arabic cover text, we employed the RNA as a tool for encoding the secret information and used non-printed characters to hide these codes. Each character (English or Arabic) is represented by using only six bits based on secret tables this operation has provided a good compression since each Arabic character needs 16 bits and each English character needs 8 bits in a conventional method, using RNA with secret table has provided a good degree of security, moreover using non-printed characters, these characters do not appear on screen so have provided a complete similarity between the Arabic cover text and stegotext. في اي نظام امني نحتاج الى مستوى عالي من الامنية وذالك للحفاظ على سرية البيانات المهمة. اخفاء البيانات هوفرع من فروع الانظمة الامنية التي تقوم باخفاء المعلومات السرية داخل غطاء معين (فيديو، صورة، صوت، نص) بحيث ان الخصم لايشك في وجود هذه المعلومات السرية. في عملنا المقترح سوف نخفي الرسالة السرية (عربي او انكليزي) في نص الغطاء العربي, وأضفنا ال أر أن أي كأداة لترميز المعلومات السرية واستخدمنا الاحرف غير المطبوعة لاخفاء هذه الرموز.كل حرف ( عربي او انكليزي) مثلا باستخدام 6 بت فقط بالاعتماد على جداول سرية للاحرف وهذه العملية زودتنا بضغط جيد لان كل حرف عربي يحتاج 16 بت وكل حرف انكليزي يحتاج 8 بت في الطرق التقليدية, وباستخدمنا ال أر أن أي مع الجدول السري زودتنا بدرجة عالية من الامنية علاوة على ذالك استخدمنا الاحرف غير المطبوعة وهذه الاحرف لاتظهر على الشاشة لذلك وفرنا تشابه بشكل كامل بين نص الغطاء العربي ونص الاخفاء. Security --- Steganography --- RNA --- Codon --- Coding. An Auto Crop method is used for detection and extraction signature, logo and stamp from the document image. This method improves the performance of security system based on signature, logo and stamp images as well as it is extracted images from the original document image and keeping the content information of cropped images. An Auto Crop method reduces the time cost associated with document contents recognition. This method consists of preprocessing, feature extraction and classification. The HSL color space is used to extract color features from cropped image. The k-Nearest Neighbors (KNN) classifier is used for classification. يستخدم طريقة القطع الالي لتحديد و استخراج توقيع، شعار وختم من صور الوثيقة. ان هذه الطريقة تحسن من أداء النظام الأمني المعتمد على التوقيع والشعار والختم وكذلك هذه الطريقة تستخرج الصور من صوة الوثيقة الأصلية والحفاظ على محتوى المعلومات داخل الصور المستخرجه. طريقة القطع الالي يقلل من التكلفة الزمنية المرتبطة لتميز محتويات الوثيقة. تحتوي هذه الطريقة على معالجه اولية، واستخراج الخصائص والتصنيف. تم استخدام التحويل اللوني HSL لاستخراج الصفات لونية من الصورة التي تم قصها. المصنف KNN قد استخدام للتصنيف. In this paper, a computer simulation is implemented to generate of an optical aberration by means of Zernike polynomials. Defocus, astigmatism, coma, and spherical Zernike aberrations were simulated in a subroutine using MATLAB function and applied as a phase error in the aperture function of an imaging system. The studying demonstrated that the Point Spread Function (PSF) and Modulation Transfer Function (MTF) have been affected by these optical aberrations. Areas under MTF for different radii of the aperture of imaging system have been computed to assess the quality and efficiency of optical imaging systems. Phase conjugation of these types aberration has been utilized in order to correct a distorted wavefront. The results showed that the largest effect on the PSF and MTF is due to the contribution of the third type coma aberrated wavefront.في هذا البحث, نفذت محاكاة حاسوبية لتوليد الزيغ البصري بواسطة متعددة الحدود لزرنيك. مثلت اربعة انواع مختلفة من الزيوغ لزرنيك باستخدام برنامج فرعي بلغة الماتلاب وطبقت كخطأ طور في فتحة النظام التصويري. بينت الدراسة ان دالة الانتشار النقطية ودالة التضمين الانتقالية تأثرت بهذه الزيوغ البصرية الاربعة. حسبت المساحات تحت دالة التضمين الانتقالية ولانصاف اقطار مختلفة لفتحة النظام التصويري لتقييم النوعية والكفاءة لانظمة التصوير البصرية. فرق الطور المرافق لهذه الزيوغ استخدم لتصحيح جبهة الموجة المشوهة. النتائج اظهرت انه اكبر تاثير على دالة الانتشار النقطية ودالة التضمين الانتقالية يعود الى جبهة الموجة المضطربة بمسهامة نوع الزيغ الثالث (coma). Aberration --- Zernike polynomials --- Fourier transform --- and optical physics.